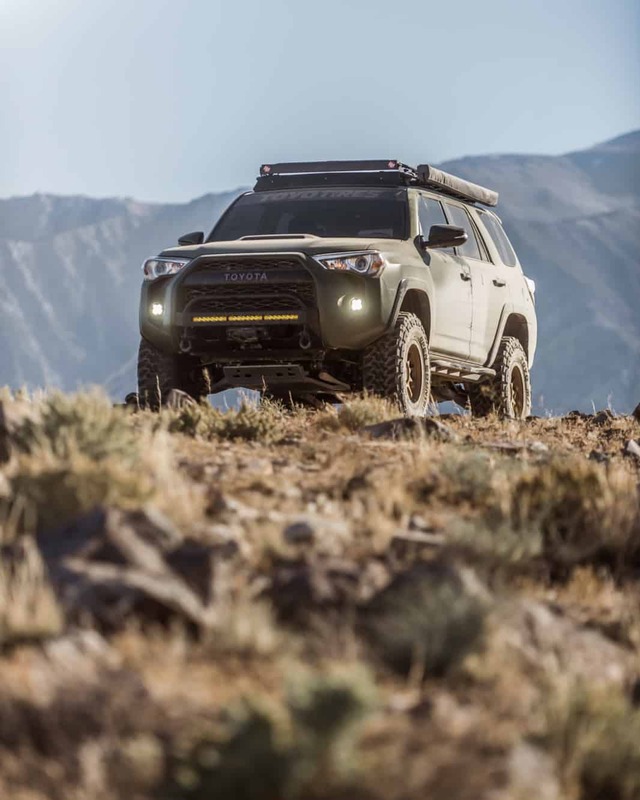 Over the last few years, the 5th-generation 4Runner has become one of the most popular four-wheel drives in the overland segment, and it’s not hard to understand why. 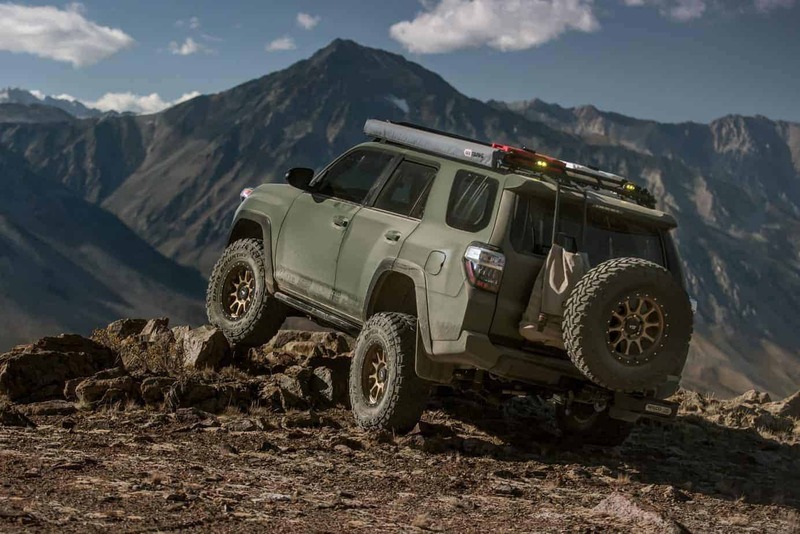 They are capable, reliable, relatively affordable, and easy to modify, making them perfect for both new enthusiasts and experienced travelers alike. But recently, we’ve noticed a growing problem. 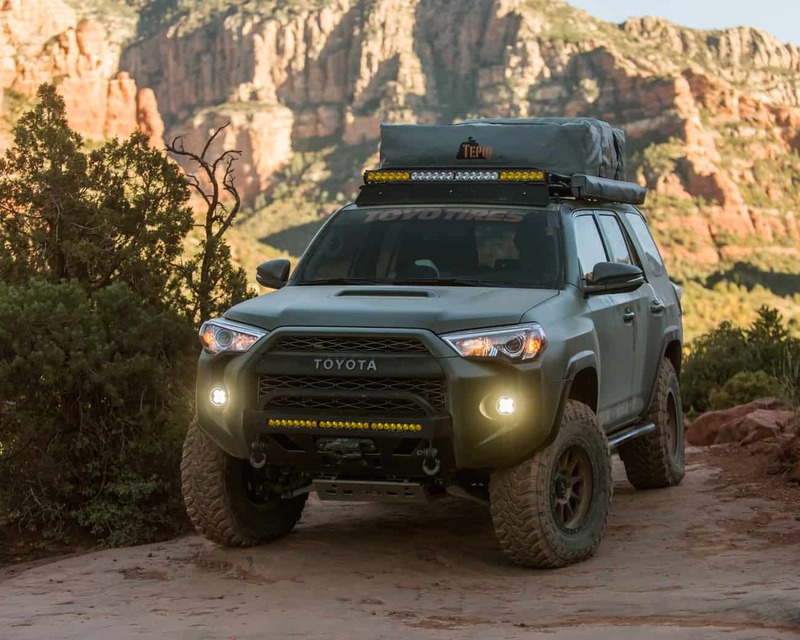 With so many 4runners out there, and only a limited number of aftermarket parts, these Toyotas are all beginning to look the same, which is why we contacted Adrian van de Water to spice things up a bit. 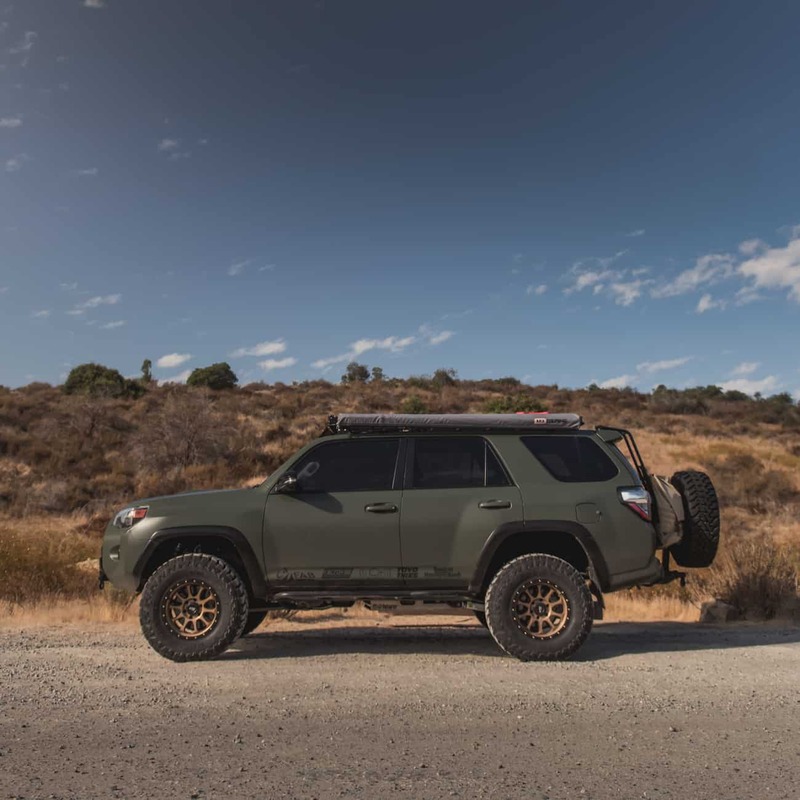 While Adrian’s bread and butter is shooting road cars, he recently got into four-wheel drives, and built the seriously cool 4Runner you see here. So without further adieu, let’s take a closer look, and learn a little more about the logic behind this project. After looking at your website, it’s clear you have a passion for cars and work with some truly unique and exotic vehicles. 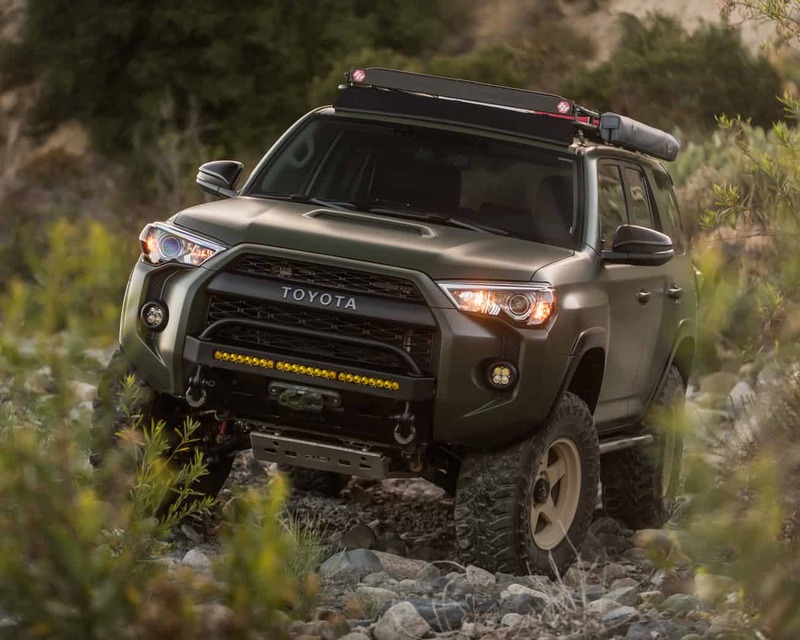 What was it that drew you toward the 4Runner for your latest purchase? 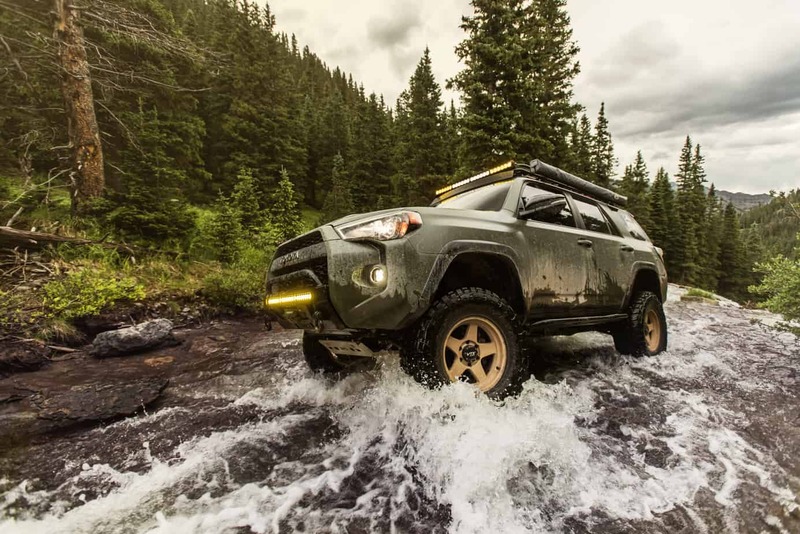 I had never owned a 4WD vehicle before, and at the time I was driving a 2001 4Runner Sport. It was costing me a TON of money in repairs, and it was only 2WD. We took a couple trips to Anza Borrego and Joshua Tree, and I continually found myself wanting more. I remember one incident in particular. We were coming up to a sand bar that was probably 100 yards long, and you had to cross it to continue down the trail. I was by myself, and didn’t want to risk getting stuck, so I turned around and found another way. It sucked, and I told myself that my next vehicle had to be 4WD. 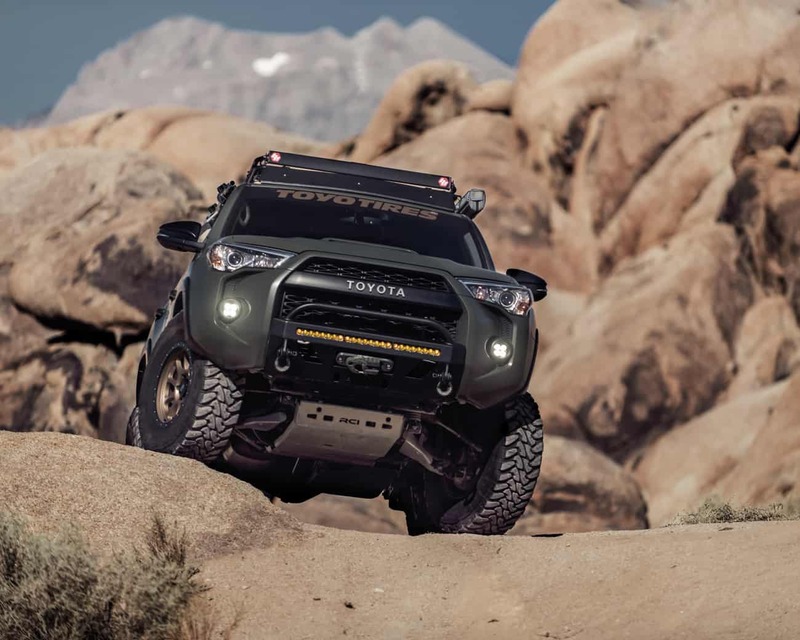 That’s when Toyota released the TRD Pro. I was stoked to see that it already came with most of things I wanted, so I wouldn’t really need to change much to get to the locations I needed to reach. 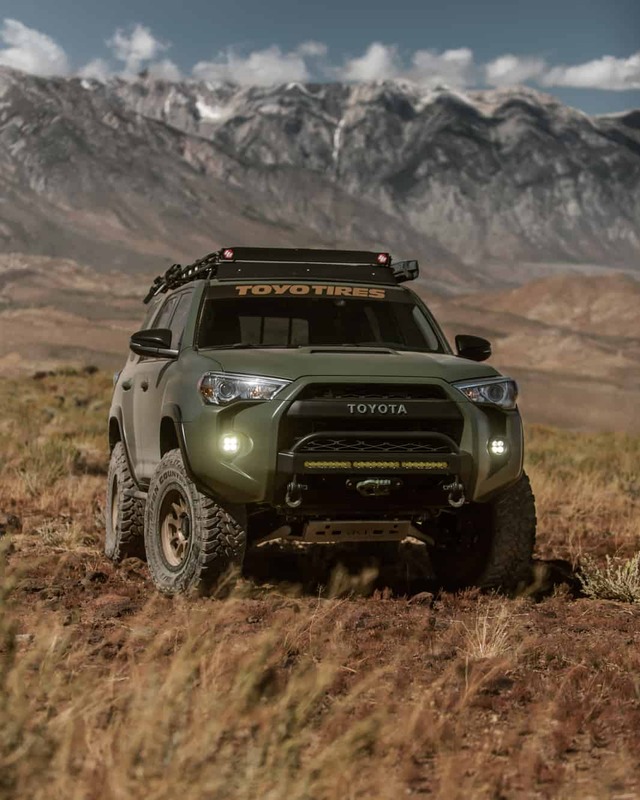 I made up my mind and started hunting for a TRD Pro, but I soon learned just how hard finding one would be. People were ordering them a year in advance, dealerships were only getting a certain amount of allocations, etcetera. After quite some time, I finally found one that hit port and was told it was mine at no mark up. I WAS STOKED!!! There was no deposit required, and the paperwork was set. “We will give you a call,” they said. They didn’t. Weeks went by, and I finally decided to call them. My TRD Pro was gone. The dealer said that they had hit their allocation for the year and they couldn’t hold it for me. I was bummed. I found a couple more, but all of them had a 5-10k markup, and I wasn’t willing to pay that. At this point, I had poured over $6,000 into my 2001 4Runner’s repairs and I was over it. I sold it, bought another vehicle for work, and called it quits. Fast forward 12 months, and I was looking again. This time, I had compared the Pro and the Trail Premium packages, and noticed they weren’t that far off. So I went searching for a white, silver, or black Trail Premium. 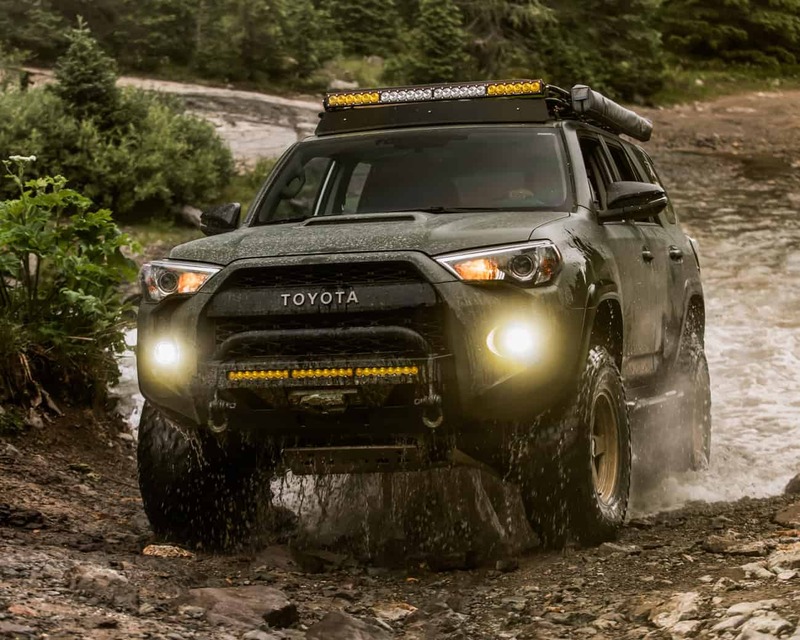 I eventually found one, and pulled the trigger on a 2016 Toyota Trail Premium 4Runner. 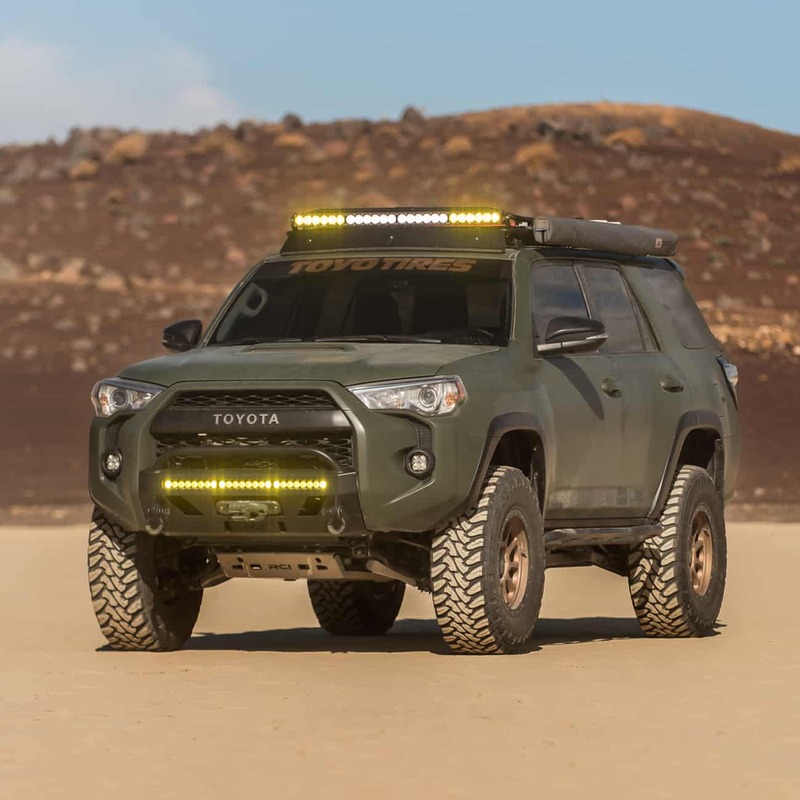 Alright, so usually we see people waver when choosing modifications for their first four-wheel drive, but you did a great job. What drove you to build this truck the way you did? Did you know everything you wanted from the beginning, or figure it out as you went? I have been building cars for a while, and found that I can never leave them alone. 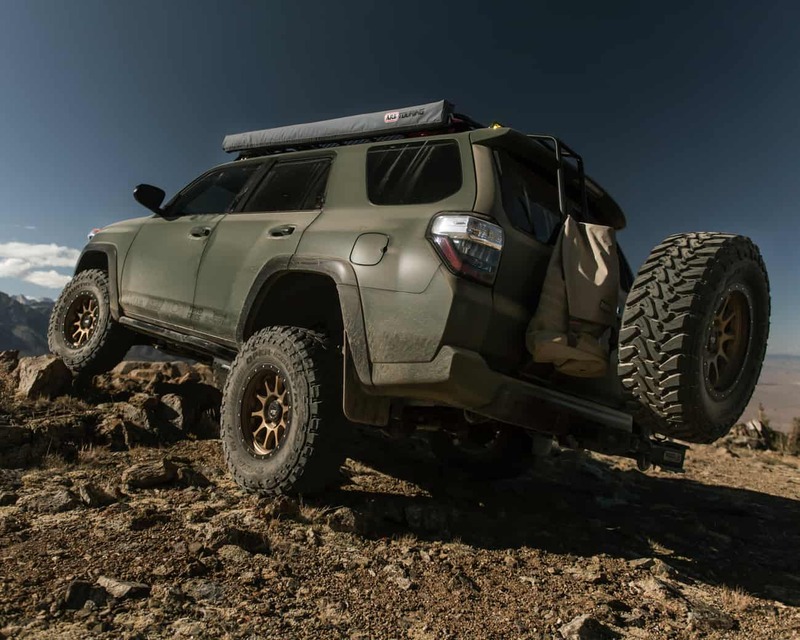 My 2001 Sport was only 2WD, but I purchased a 2-inch lift to fit my 32-inch Toyo RTs for better traction, and even installed a set of sliders in case I got into a situation where some rocker panels would get damaged—so I knew this 4Runner wouldn’t be stock for long. The first thing I did, within 24 hours in fact, was take it off road and up some steep inclines. I had to see what the hype was all about. 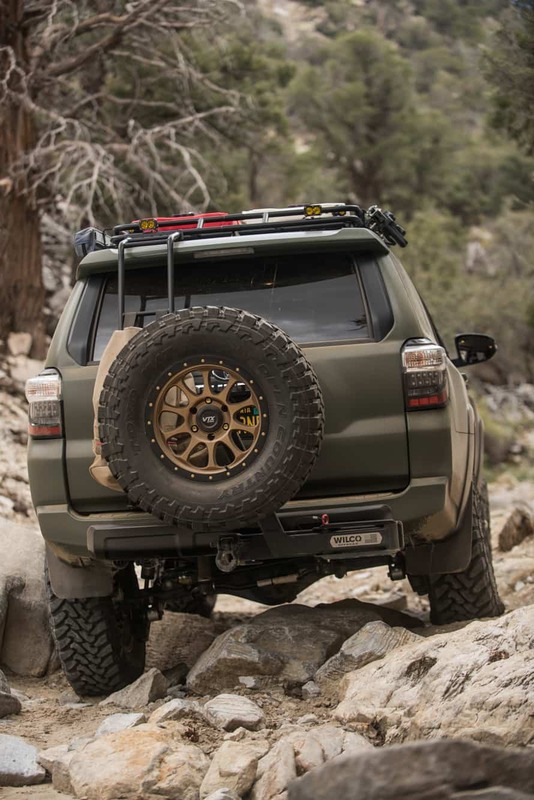 The rear locker, ATRAC, and crawl control are definitely cool options, and got me up about everything I attempted. 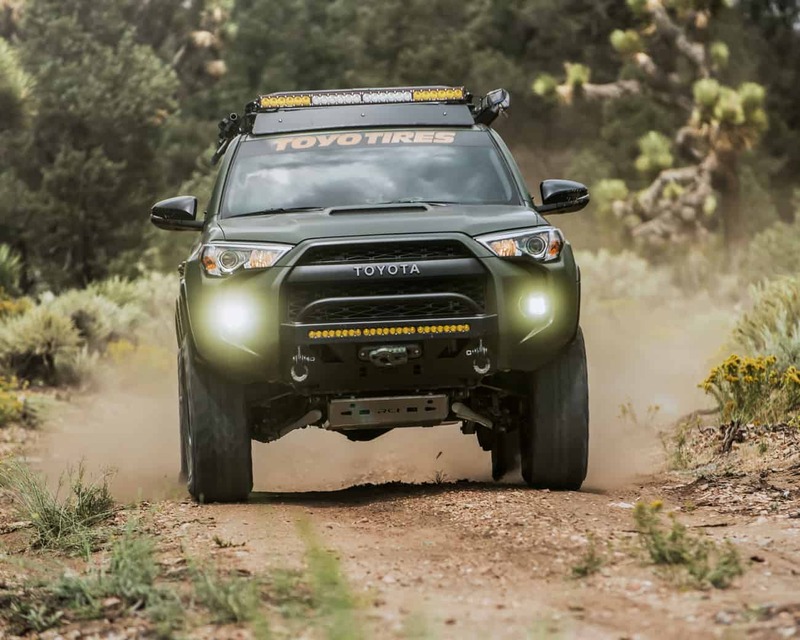 I did notice that my factory tires were slipping a lot, and that the front end of the 4Runner was extremely low. I tapped the factory skids a few times, and drove home with a growing list in my head. The next day, I ordered a skid plate, a 3-inch lift, and put in a order for some 285/70s to fit my new 17X8.5 wheels. I bought the new wheels for two reasons. First, I had read on forums that many people had experienced trouble with the 285/70 popping the bead with factory wheels when aired down. Second, well they just look cooler than the factory wheels. I drank the Kool-Aid and bought wider wheels. 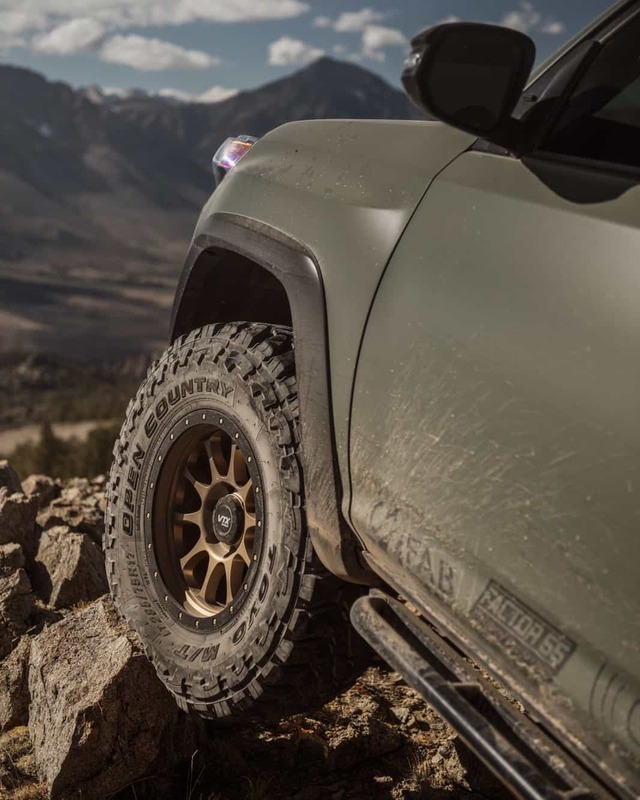 The combination of the lift, skids, wheels, and tires gave me better clearance, traction, and some protection, which resulted in peace of mind. As I started to take my truck off road more though, I noticed that I wanted something to protect the paint. I was super OCD about pin stripes, and hadn’t realized how many I would actually get, so I started looking for solutions. I decided to wrap my truck, and was able to pick my color of choice, Olive Drab in a matte film. It has held up AMAZINGLY well, and I love the way it looks. Truthfully, the second reason I wrapped it was because I wanted something different and unique. The Olive Drab wrap sets my truck apart from all of the other 4Runners out there. 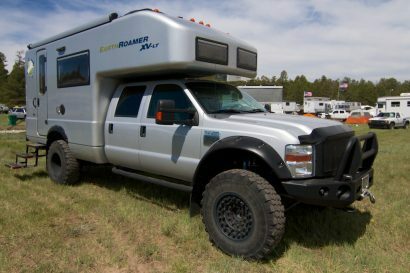 The rest of the truck came together by me wanting to try different things or because they were needed in previous trips. I’ve been through three styles of tires, two different suspension setups, and a few other mods that I feel were needed for the type of exploring I like to do. 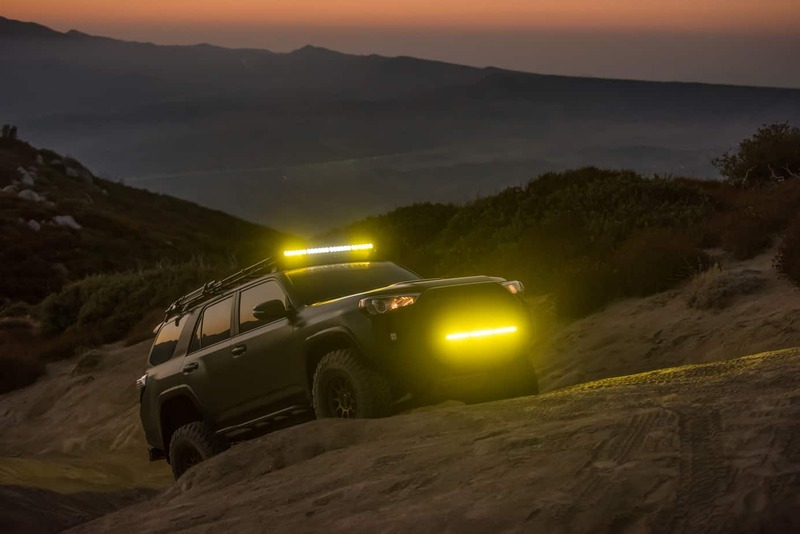 I didn’t install lights, a winch, and sliders because I simply wanted them, but because I had needed them in actual situations, and they would help to make the experience safer and more enjoyable. 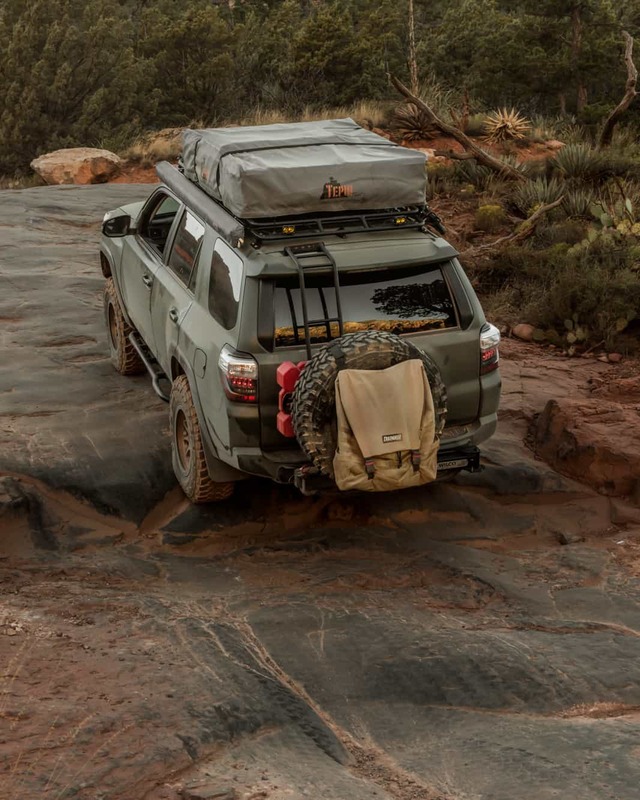 Overlanding is about exploring the world around us, which for many of us means using our four-wheel drives to pursue other passions like fly-fishing, kayaking, or rock climbing. 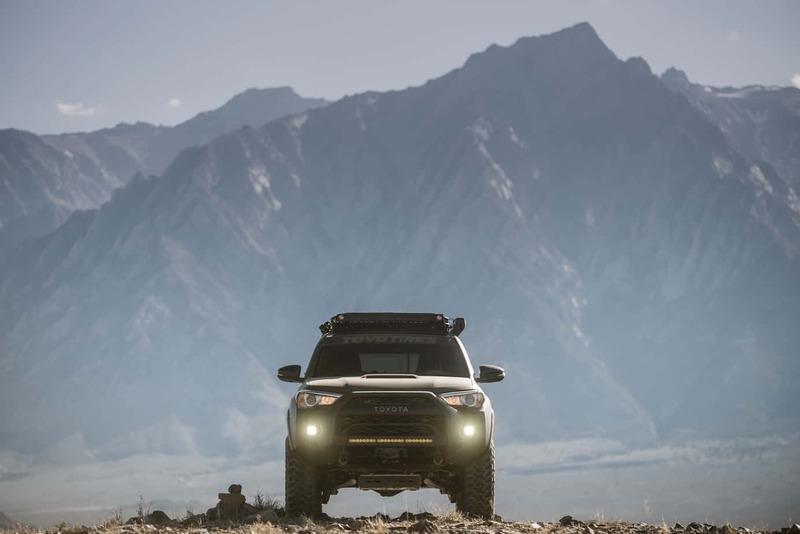 Has your 4Runner enabled you to pursue your passions in ways that weren’t possible before? 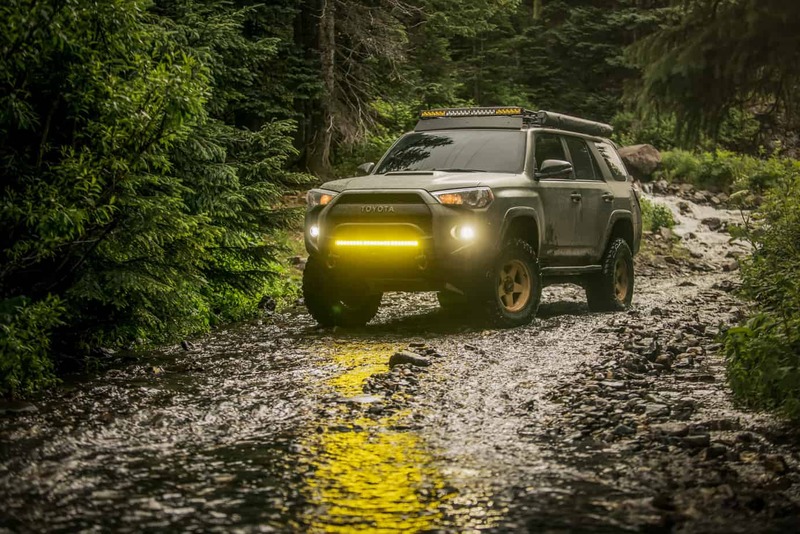 I make my living as a photographer, and since owning my 4Runner I’ve discovered many locations that I would have never seen without an off-road vehicle. The places that it has taken me in the last year have been nothing short of incredible. Experiencing these dramatic locations from the backcountry has made the entire process more exhilarating, and has driven me to get out and see more whenever I can. 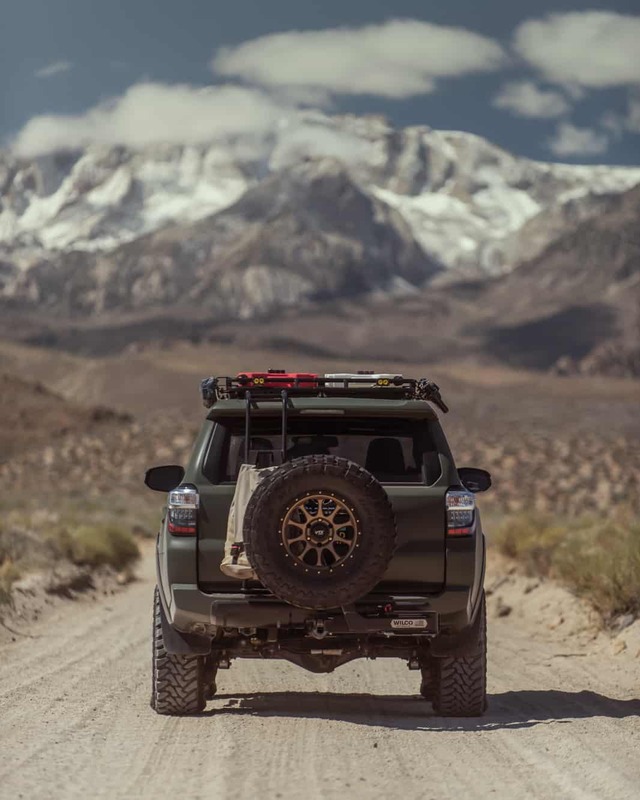 With the 4Runner I’m always looking for my next adventure. It sounds like you made the right choice in a vehicle then! 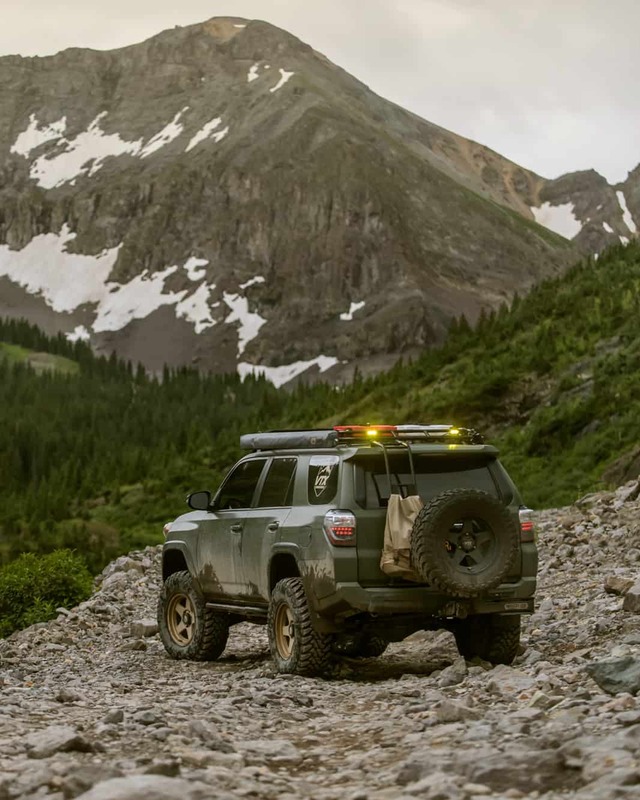 With all of this inspiration, where have you been able to take your 4Runner so far? Do you have any big dreams for trips in the future? 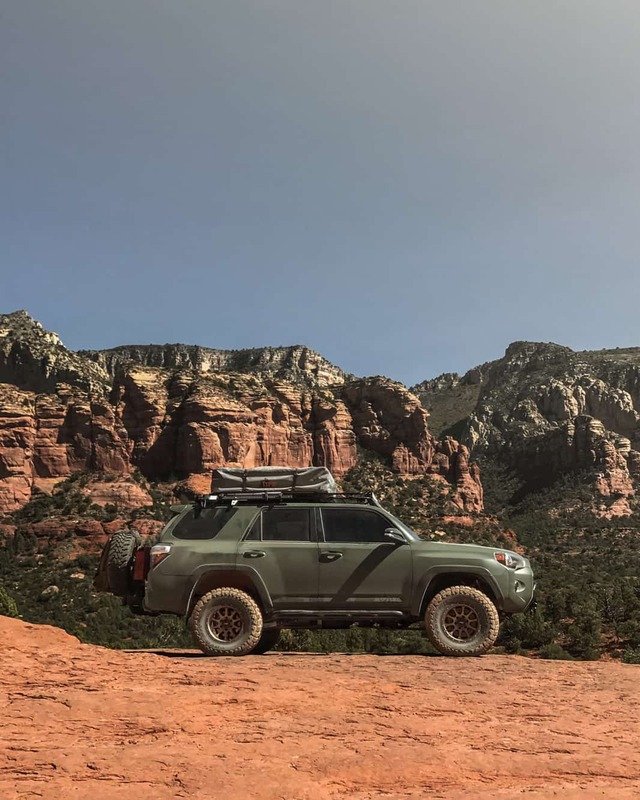 In the last year, I’ve had the opportunity to take the 4Runner on a few different trips. When I first got it back in October, I was on the trails almost twice a week trying to figure how the truck would handle, getting a feel for the 4WD system, and just having a good time. The first multiple day trip in the 4R was with a few buddies leading us through Dumont dunes. We took a trail over into Troana, up into Alabama Hills, and ended up in this rad little ghost town right outside of Lone Pine called Cerro Gordo. The next trip I took was in January 2017 and is an annual run I do with some friends down the Mojave Road. 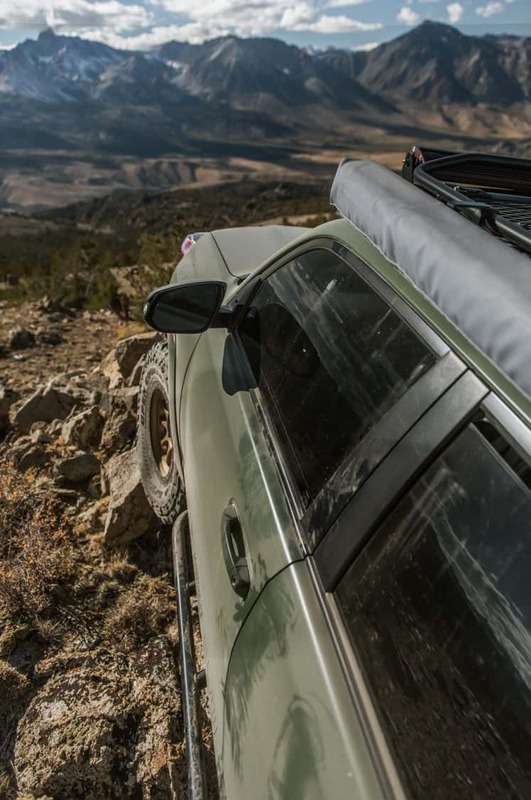 We usually spend about 3-4 days on the trail, and it was the first time going in the 4Runner. It handled it like a champ, but I definitely came back wanting some new mods to make the next year even better! My favorite trip I have taken so far though has been the trek from California to FJ Summit in Ouray, Colorado. 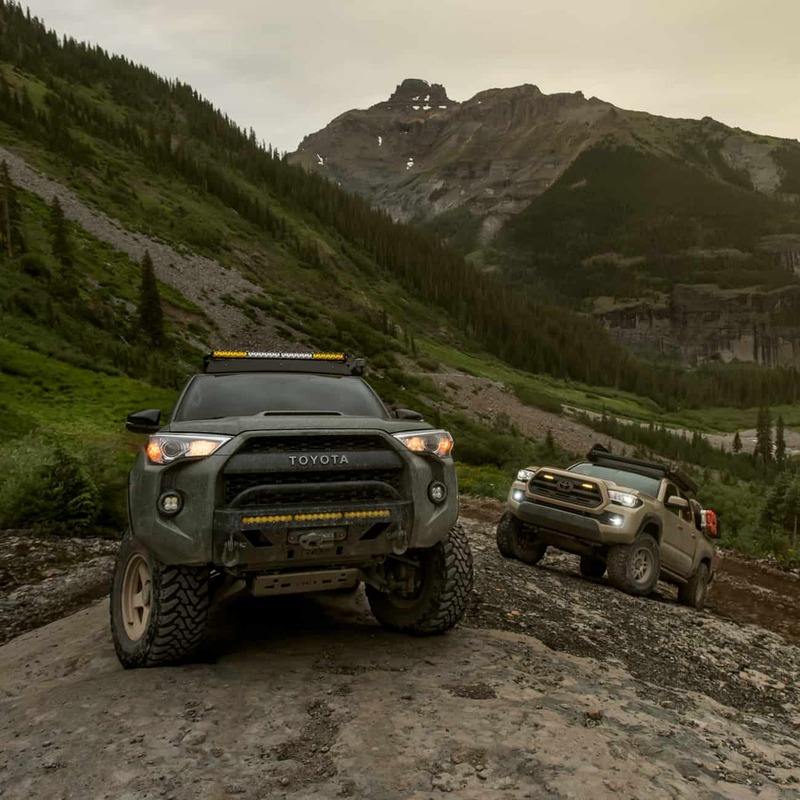 To keep it short, the trip out there consisted of Toquerville Falls, hitting the infamous Top of the World Trail in Moab, and then finally arriving in Ouray for the experience of a lifetime. The entire trip was a week long, and I want to go back! The scenery, trails, multiple types of weather, and great company made it an amazing experience. I also did a recent trip to Arizona. We hit a few popular trails like the backway to Crown King, Broken Arrow, and Schnebly Hill. It was a quick 3-day trip, but I will definitely be going back soon. I haven’t really thought about where I want to go next. I see different locations all the time and have locations mapped out, but nothing is set in stone as of yet. My season of work slows down a bit in the winter months, so I’ll be planning a trip soon. 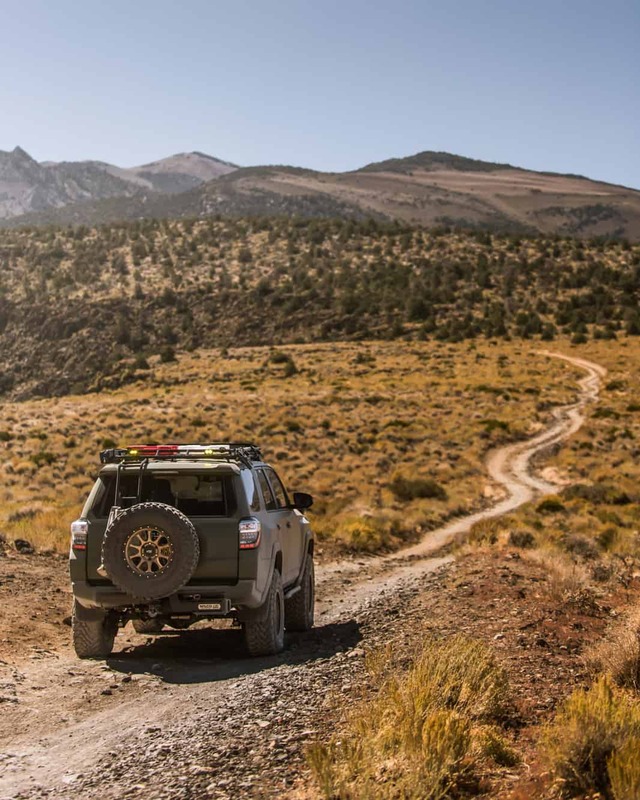 Now that you’ve driven the vehicle for a while and really used it off-road, would you change anything about it? One of the things I wish they would have done was added a little more power. I remember having this similar motor in my 2008 Tacoma, and it felt sluggish then. A front locker and a solid axle up front would have been nice, but I think that’s wishful thinking. For upcoming mods though I have plenty more planned, and I’m just waiting for the opportunity to arise. 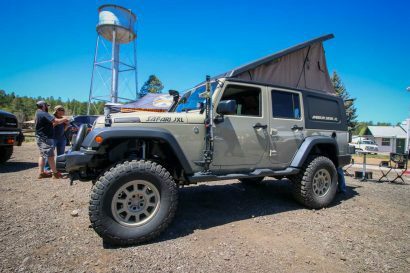 I’m currently looking at a roof top tent, installing new gears, and a front locker, and then hoping to figure out my rear bumper situation. 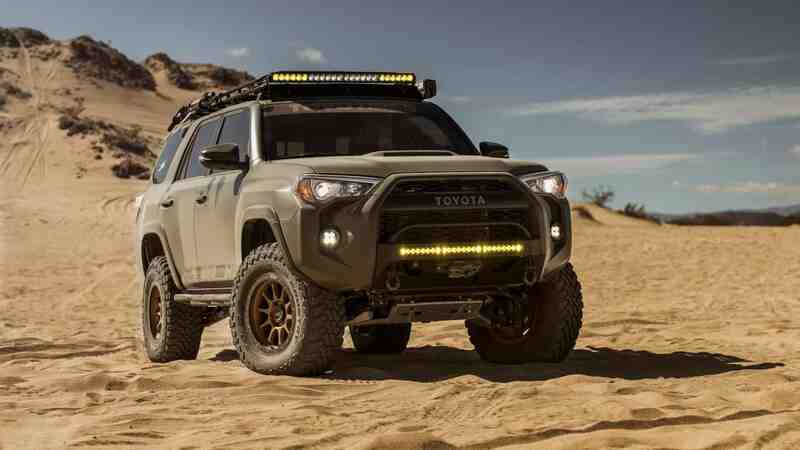 As of now, at least until the first of the year, I am pretty content with the 4Runner. It takes me where I need to go, and I have a blast getting there. Of course, we always want more. To learn more about Adrian and his work, visit his website here. To follow his adventures on Instagram, check out his account @fotornr here.